This necklace says it all! It's the Hebrew word for "LIFE". 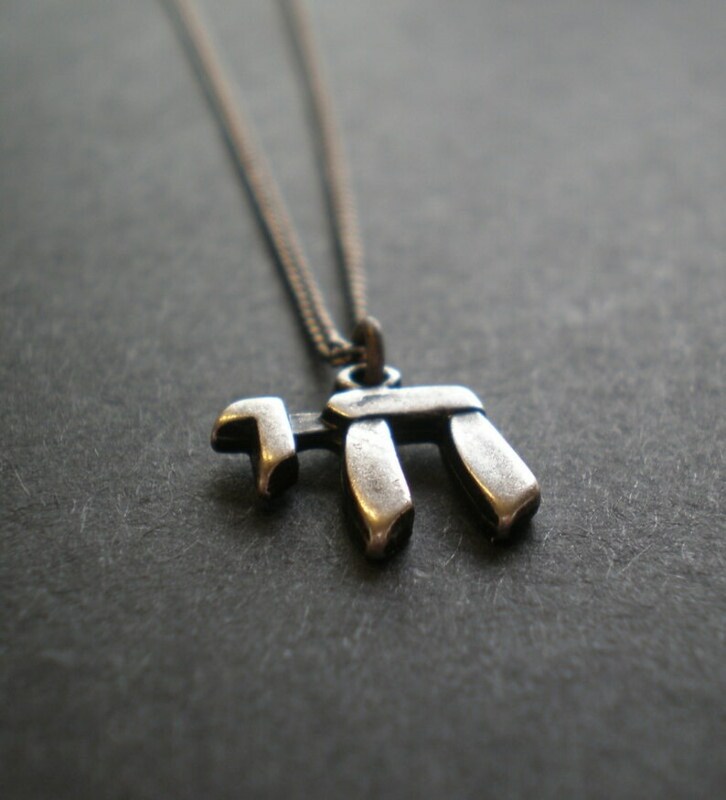 You can wear it with the intention of expressing your adamant support for living life to the fullest, or that life is precious, or just to symbolize your faith. In a nutshell, you can philosophize with a tiny charm! This oxidized silver-toned chai is roughly 1 centimeter all around and about 3mm thick. It hangs gracefully from a thin, slinky, silver-toned curb chain (chains may vary from photo). Two Swarovski crystal beads flank the sterling silver clasp in the back. The necklace will close anywhere from 16" (41.5cm) to 16-3/4" (42.5cm). Yes, you can order a custom length.